Starting an online business is a bit confusing at times. Make a website, select server, and theme and add your architecture work. While other processes are easy, selecting the right theme for your business is quite frustrating. You need to choose a choice that fits your needs. To save you with this process, we have done the work for you. 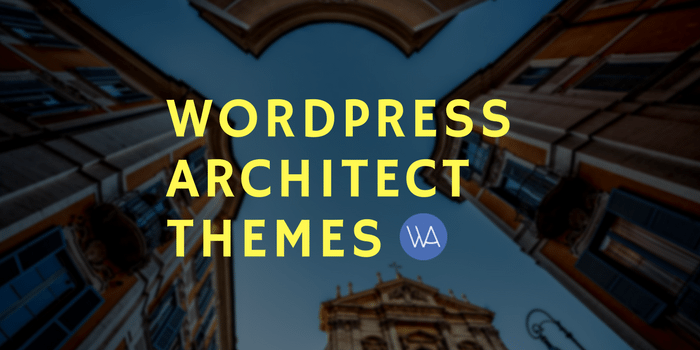 Here is the list of 20 best WordPress architect themes for architectures. Rayleigh is a simplistic theme with a stunning design for showcasing architecture work and putting up real-like projects using elegant layouts. For providing more zoomed and detailed view for your work, there is a powerful homepage screen for representing robust impression to your visitors. You can also show your team skills and expertise in-detailed layout. Readers can easily contact the architectures using easy contact feature. Architekt theme is one of the most outstanding themes on our best theme round-up. This theme actually fits easy inside every theme test. To start with, homepage is made attractive using the full-screen slider. Interestingly, you have options to choose from three different sliders. While one comes handy; other two are premium- Revolution and layer slider. This multilingual theme has animations and related visual effects for an impressive presentation. The framework is eye-catchy with design elements for keeping-up the users. While the customization is limited with page builder (for layout designs), embedded pages are fresh and clean. Architekt is designed such to create a perfect spark in its pages, without making your site heavy. This theme has portfolio oriented design with smooth functionality. This is to help you show your work better using clean-view. It is best for professional architectural firms, interior studios and freelancers as well. Another theme in our list is a multi purpose, highly-responsive and famous WordPress theme. Hook is a well-known theme with over 70 different pre-built pages integration. Multiple demo layouts help you select the best fit for your architect agency. Customization is easy with visual composer page builder and design is minimalistic to help you represent your engineering work in a clean way. It is RTL supportive and has creative animation work for beautiful portfolio representation. 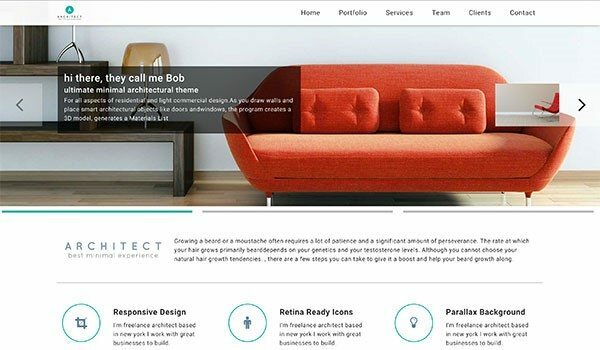 It is a retina ready theme featuring responsive design said to be one of the most popular Architect themes in 2017. You can use this for marketing architecture firm, showcasing your engineering skills and putting up your projects creatively. MIES allow the user to have multiple skins for the portfolio. You can use different patterns- Full-screen images (for zoomed Overview) and Parallax scrolling (for unique representation). They created the theme specifically for making the work presenting process easier. Live customizer and ultra smooth scrolling make the architect business. 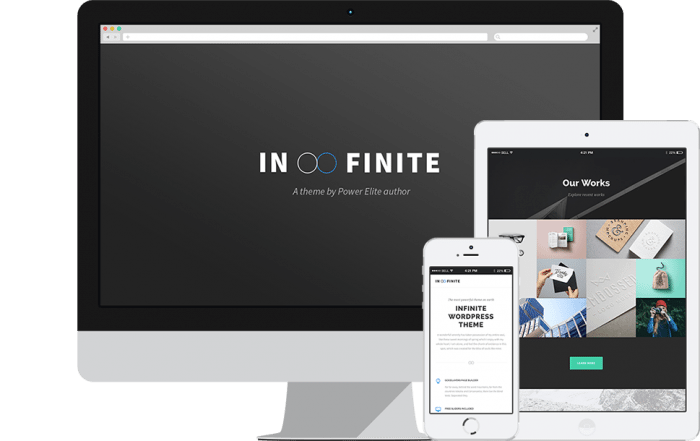 Infinite is a well-versed theme with over 19 powerful header layouts. This theme is an absolute aesthetic, highly responsive, and easy-to-use multi-purpose theme. Infinite has a great admin panel for performing quick functions. You would also have a demo creator for the instant content check. You can showcase their architect work online with absolutely no experience. Landing pages are designed specifically to impress the random visitors, business clients and so forth. GoodLayers drag and drop page builder help you customize and create highly-attractive layouts. Infinite is an ideal theme for creating a modular website with great templates for nice visual layout and designs. Advanced admin theme settings provide great access to the entire website and help to create an elegant portfolio. Modern Architecture theme is another theme in our list. It’s a fresh theme with responsive WordPress design. They created it to showcase impressive work leaving an appreciative visual impact using interior presentation, exterior galleries, and elegant photo structures. It is a multipurpose theme and you can use it for portfolio, blog, business and photography sites as well. Layouts are long paged means more scrolling time and thus, better work presentation. This helps promote the company, new products and services. 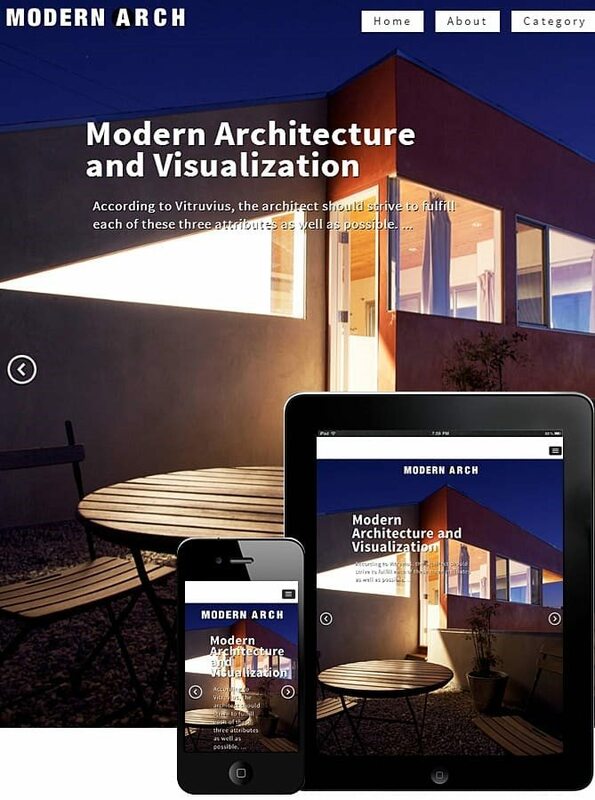 Arkitekt is one of the greatest themes, specifically designed for architectural business. This fresh corporate theme is an absolute artwork including a creative design. There are animation and visual effects properly embedded for bringing out an impressive coloration. Multi structural Arkitekt is a robust, eye-catchy theme that you cannot afford to miss! It is built on Well-known bootstrap framework design. Additionally, the theme is translation ready with different elements for fonts, icons, and unlimited sidebar creators. Midtown Architects is a fully-responsive, retina-ready theme including a grid system layout for a clean appearance. Elements for adding multiple pages are already there in this theme. Midtown is built on visual composer leaving creative visual combinations and aesthetic pictures for making your clients thrilled. Craft is a theme for showing your portfolio, architectural designs and interior in a pleasant way. Easily customizable Craft could be altered based on your needs and easy usability makes it swift for theme users. Elegant visual structures embedded in this theme make the website presentation eye-fetching and creates an attractive environment. Clean graphic visuals and minimalistic design. You can select any template and set-up your showcase in few customizing clicks. Powerful admin panel makes the whole process a whole lot easier. 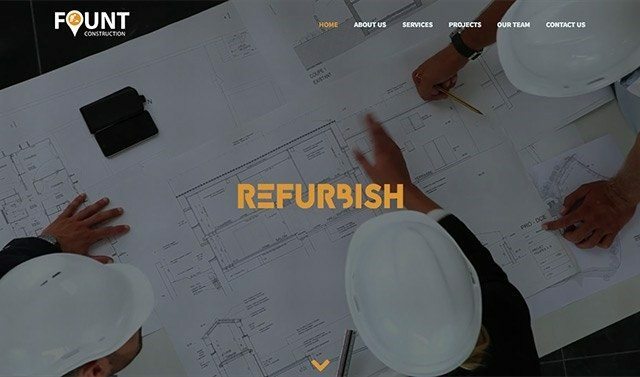 This theme is perfect for Architectural firms, freelance contractors, and engineers. Craft helps you present your skills in a unique, interactive way. This theme allows you to change page size, re-create them and customizing modules without much effort. There is a lot to do with Craft theme. Unlike other themes in our list, Wonderwall is more a multi-purpose theme. It is, however, more popular among architects and portfolio creators. This stylistic theme has over 9 different homepage selections for providing you with more options. optin form is embedded for allowing the user to contact your company easily. Easy to setup and SEO friendly Wonderwall is one stop for business firms, personal blogs, portfolio websites and freelance engineers. Another flexible theme from our list, Fount, is a theme with an eye-fetching design. This business theme has a simplistic layout for making your site faster and stunning design for powerfully showcasing your skills. The animation is swift and admin panel is quick, meaning you can easily create customized architecture website’s pages. Fount is a multilingual theme for portfolio sites. Kedavra is a fast, clean and powerful WordPress theme for professional architectural firms. Multiple demos help the user to make sure the site goes running. Kedavra is SEO optimized and has a retina ready design. It works well with all browsers. This multipurpose theme has a quick page builder and easily customizable pages. 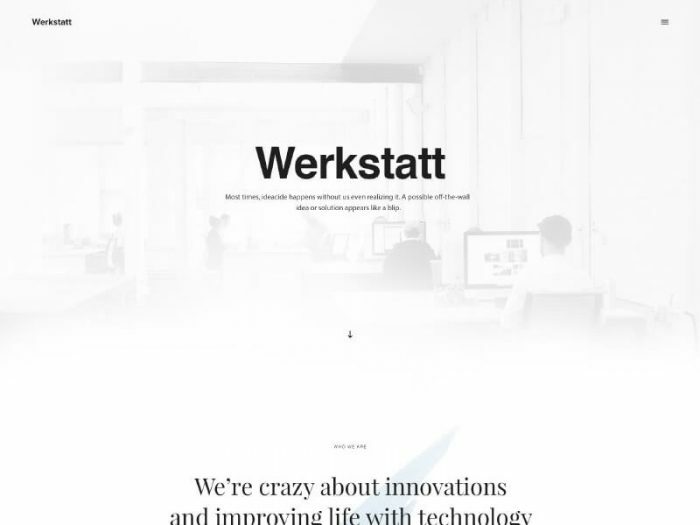 Another theme in our list Werkstatt is an elegant theme with responsive WordPress design. It has a special structure for making your portfolio to look creative and well-crafted. You can use complex customization option in an easy way using inbuilt elements. Demo creator helps you create a website with more sophisticated navigation and creative visuals for bringing-in more clients. Smooth animation and multiple templates make this theme ideal for professionals. It has a well-designed layout for representing portfolio in a unique way. Multi footer styles added to Werkstatt brings in an incredible flexibility to this theme. This responsive theme is SEO optimized and speedy for providing the architectures ease of online business creation. 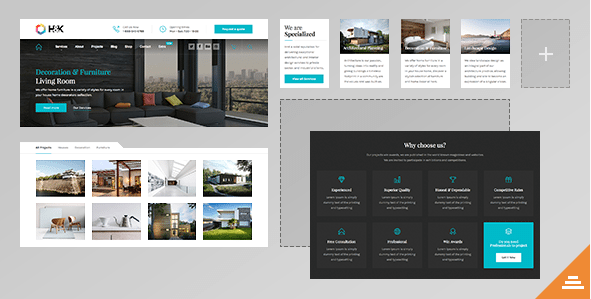 Architect is a creative business theme with over 6 different designs. 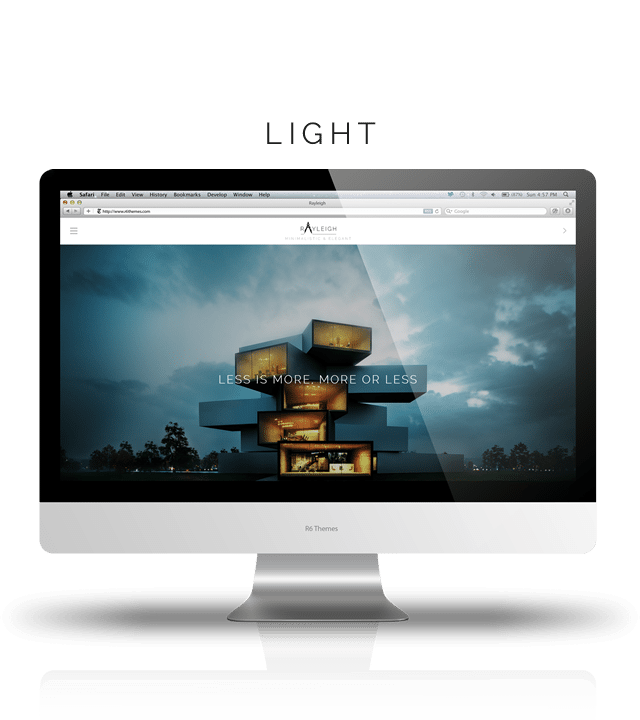 This minimal architectural WordPress theme created via clean elements. It is an elegant theme which could be used by engineers, designers and related companies. It helps create a stunning portfolio with retina ready structural elements. Being designed in Bootstrap grid, it is greatly responsive. Cobalt is creativity fused with theme usefulness in a perfect way. It is fully-responsive WordPress theme with great popularity. It is ideal for architect, engineers and home designers. Cobalt Easy theme options with Redux framework which is, by the way, the main element for attractive themes. This Retina ready theme has HD compatible display with 6 Home layouts, 4 blog templates, and 3 single page layouts. PSD files are included and UI is taken care of. Also, the regular page builder is there for re-arranging the page structure or customizing the website. It supports almost every browser out there and is, of course, SEO-friendly. HNK is a WordPress theme for interior designers and engineers. It has multiple layouts for project and galleries, leaving behind ample of choice for its users. It gives a fresh essence to the business portfolio and a modern look to the website. It is also WooCommerce compatible. Arctic is a minimalistic architecture theme for creating online business presence using WordPress. You can make an impressive website easily using this architecture theme. With 7+ different page templates, you can put-up whatever design you like. The amazing full-width slider can be easily embedded on the homepage for a more interactive landing page. You can always use the full-screen image slider. The animation is robust and customization options are unlimited. Visual elements in Dogma WordPress theme are so creative and unique that you can use it for both the photography and Architectural work. This elegant theme again has the Redux options framework for smooth customization and powerful visual composer for creating unlimited page layouts. They included ajax transitions which mean you won’t have to worry about user experience. Also, it is clean-coded and SEO optimized leaving behind no reason to miss this business theme. JKreativ is our list’s most creative theme. It is a multipurpose WordPress theme with SEO optimized elements. Whether you want to create a photography portfolio, a restaurant promotion, a creative business or an architecture firm it goes with all. It is basically a minimalistic and unique theme for all business types. Monolit is a stylish architecture WordPress theme including some perfect elements and clean design. It is ideal for business firms, architect, interior designers, and for showcasing your portfolio. It is fully-responsive and includes bootstrap framework, leaving you with a smooth and fresh website design. Next Post WordPress Plugins: How Many Are Too Many and Why To Use Fewer?